A pensioner was given blood thinners after a radiologist failed to spot a small bleed in her brain on a CT scan, an inquest in Dublin heard. Dympna Halpin (74), from Killeary, Lobinstown, in Navan, Co Meath, later developed a huge bleed on the brain, which led to her death at Beaumont Hospital, Dublin, on October 26th, 2012. Dublin Coroner’s Court heard that a CT brain scan carried out when Mrs Halpin presented at Our Lady’s Hospital, Navan, with a history of falls on October 14th, 2012, was reported as being normal. Doctors treated her with blood thinners for a suspected coronary problem, but she deteriorated overnight and a subsequent scan showed she had developed a “massive” subdural haematoma or bleed on the brain. Returning a verdict of medical misadventure, Dublin coroner Dr Brian Farrell said the blood thinners had exacerbated the rate of bleeding. 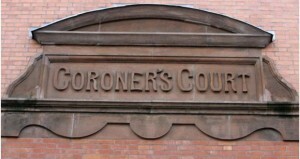 The inquest heard that the scan was organised by Dr Murat Kirca when Mrs Halpin was admitted to Our Lady’s Hospital. Doctors suspected she had acute coronary syndrome, but the scan was ordered to rule out a subdural haematoma. Giving evidence, consultant radiologist Dr John Hanson said he had reviewed the scan on his computer at home and believed it was “entirely normal”. When the CT scan was reported as normal, Mrs Halpin was given low doses of the anti-clotting agents Plavix and Clexane. Overnight she began to complain of headaches and was vomiting. The next day her neurological status began to drop and a second CT scan was ordered, which showed a significant haematoma. She was transferred to Beaumont Hospital, where the bleed was evacuated. She showed an improvement following the operation; however, her condition deteriorated and she subsequently died. Dr Kirca said that, had the subdural haematoma been reported, he would “probably not have given Plavix”. The software he used at the time is not as “efficient” as the hospital system, Dr Hanson said. Since February, radiologists have been working from the same IT system whether in hospital or at home, the court heard. 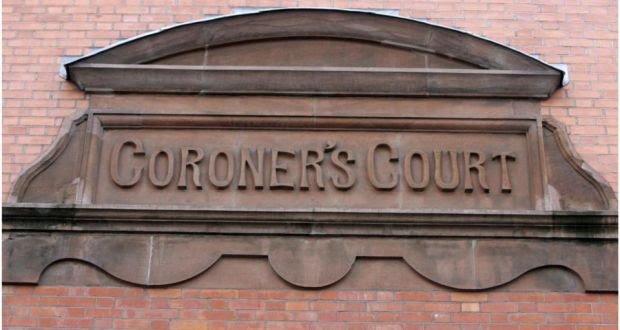 The inquest also heard from consultant neuroradiologist Dr Paul Brennan, who said he had shown the scan to several “general radiologist consultants” and the subdural was “completely missed by them”. Dr Farrell stressed that his verdict of medical misadventure had no connotations of malpractice by anyone involved.